This post is going to be about a different kind of magic – Harry Potter! As a proud Ravenclaw and lover of the Harry Potter books (and movies, too, I guess) I have been desperate to see one of my favorite fictional worlds come to life! Hubby and I are planning to spend the last full day we have in Orlando hanging out at Hogwarts, drinking Butterbeer, and riding the Hogwarts Express, so I’ll give a little insight into our plans and what I’ve found in my enthusiastic research into this little 1-day jaunt away from Disney World. I knew Harry Potter World was part of Universal Studios, but what I didn’t realize until I started looking into going was that it’s actually in 2 different parks! Kind-of a bummer because, if you want to just visit HP, you still need to buy a Park-to-Park ticket instead of just a single day / single park ticket. 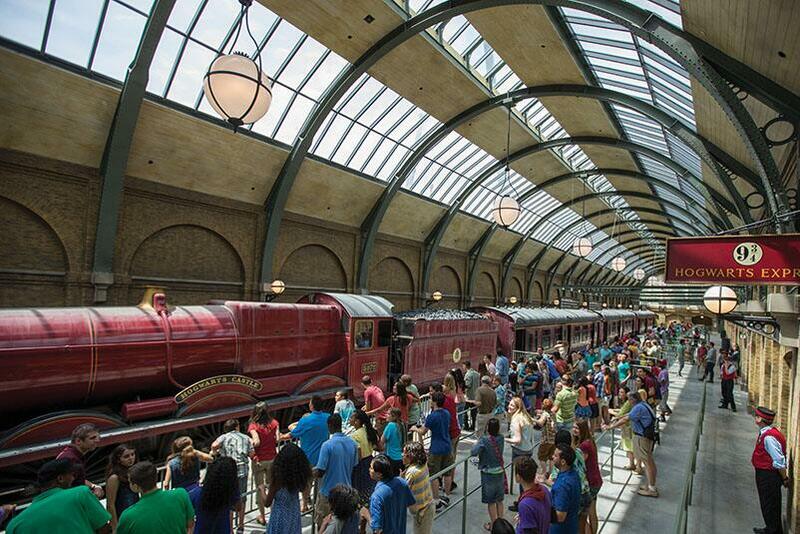 BUT, you get to RIDE the HOGWARTS EXPRESS to get from one side to the other!!!! I’m totally borrowing my friend’s Ravenclaw robes to wear for the day because one dresses the part when visiting the world of their all-time favorite series brought to life. Duh. I’ve been to Islands of Adventure once before and my husband has been to the regular Universal Studios park and neither of us is as impressed with the theming and attention to detail compared to what we’re used to in Disney. Our plan is to buy a 1-day Park-to-Park ticket (from AAA because there’s a discount!) and start the day on one side of The Wizarding World of Harry Potter. Once we’re done there, we’ll take the Hogwarts Express over to the other side (obviously). If we finish with HP before we’re actually done with the day, we can spend some time in the rest of the whichever park we end up in. The Islands of Adventure side of Harry Potter World (called The Wizarding World of Harry Potter – Hogsmeade) is home to Hogsmeade, which includes Honeyduke’s and the Three Broomsticks aaaaaand Hogwarts! We’ll get to try Butterbeer and have lunch at The Three Broomsticks, ride Flight of the Hippogriff and Harry Potter and the Forbidden Journey, and have some sweets at Honeyduke’s. 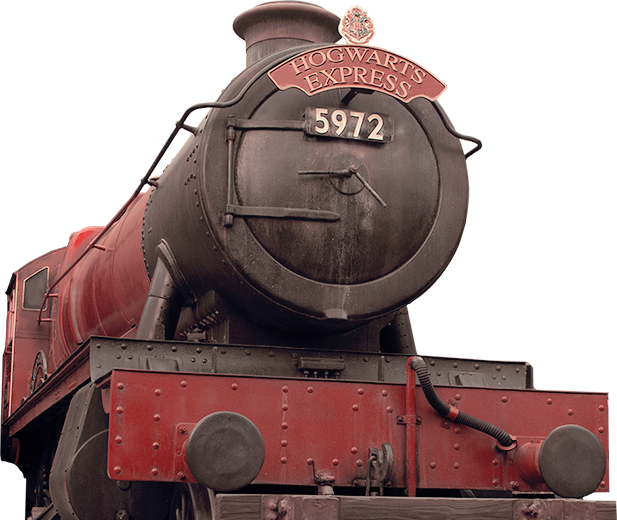 After we’ve had our fill of sweet treats, we can head over to Hogsmeade Station to pick up that scarlet train to the Universal side (called The Wizarding World of Harry Potter – Diagon Alley). I think the thing I’m most excited about in this area is getting to pick out a wand at Ollivander’s! I’ve read that the wands you buy at The Wizarding World of Harry Potter are different from wands you can buy elsewhere in that there are ways they will interact with experiences throughout the park(s). I’m thinking I probably need a wand the moment we arrive (because patience is totally my strong suit) so I can get the most out of the interactive experience. As far as progression in the books, Harry’s first experience with the wizarding world (besides Hagrid’s pink umbrella) is Diagon Alley. I feel like we should keep a similar timeline to Harry to get the most out of our experience in this magical world come to life. 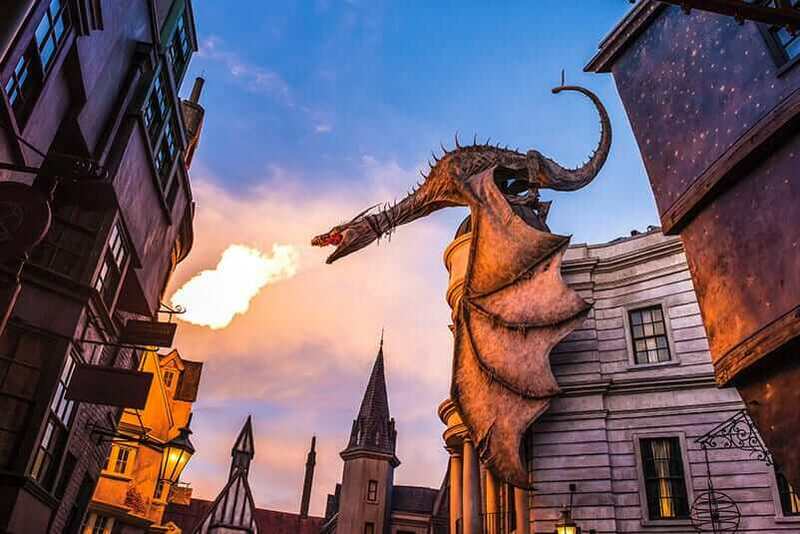 Have you ever been to the Wizarding World of Harry Potter? What should we make sure we do? Is there anything that’s not worth the hype? All photos in the post courtesy of The Wizarding World of Harry Potter site.